Much modern (Le. post-17S0) economic history is concerned with success in that a vast body of literature focuses its attention upon the experience of industrialisation and economic growth or upon relative differences in performance once the growth process is underway. The explanations advanced frequently hinge on those supply and demand factors, perceptible during the growth period itself, which may have helped or hindered economic progress. The problem which arises with this approach is whether those forces attributed with having pulled a country forward were the same as those which, in their absence, had held it back. For example, the growth of'inter- national demand may be seen as a major stimulus in the economic development of a particular country, but its effectiveness as a stimu- lant may have been contingent upon the prior removal of quite diffe- rent obstacles to growth. In these circumstances it would be quite wrong to attribute lack of earlier development to the absence of international demand. Thus the study of a period preceeding discer- nible growth in a sector of the economy may tell historians as much about the reasons for subsequent growth as a study of the growth period itself. 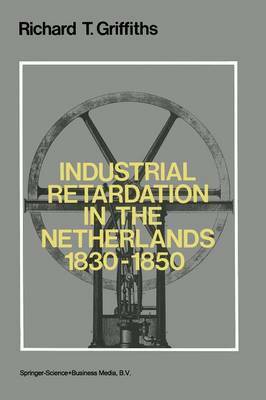 This was my initial reason for choosing to research into the industrial development in the Netherlands in the first half of the nineteenth century: that it was an interval in economic history usually interpreted as one of stagnation, of missed opportunities and even of economic decline.